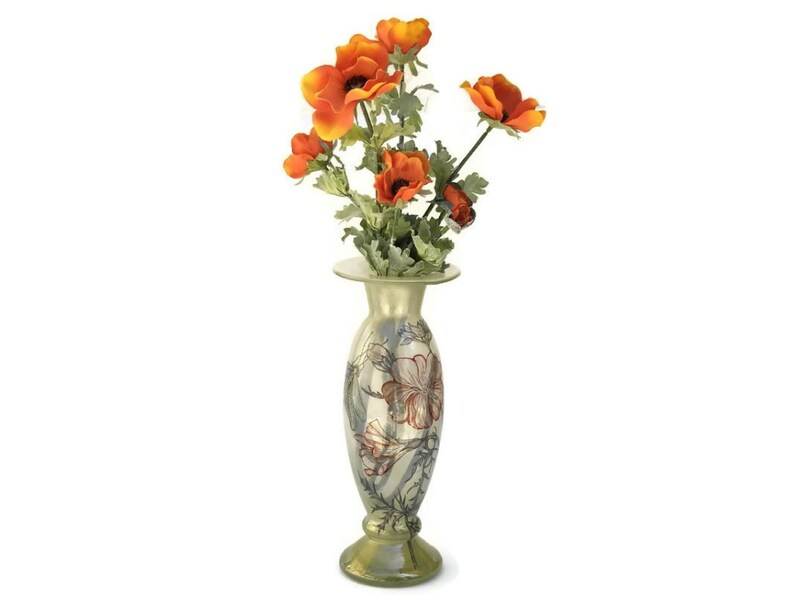 A charming vintage French vase created in the Art Nouveau style. 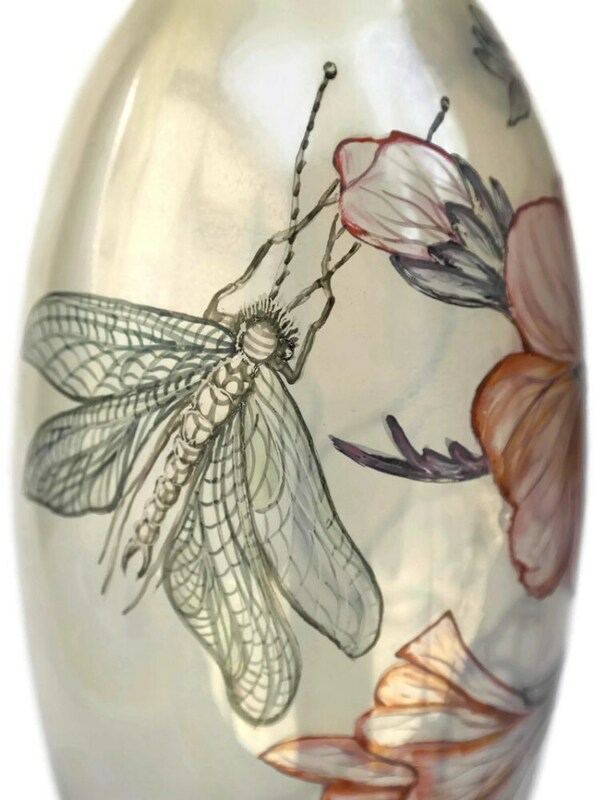 The blown glass vase has been decorated with hand painted flowers and a dragonfly. 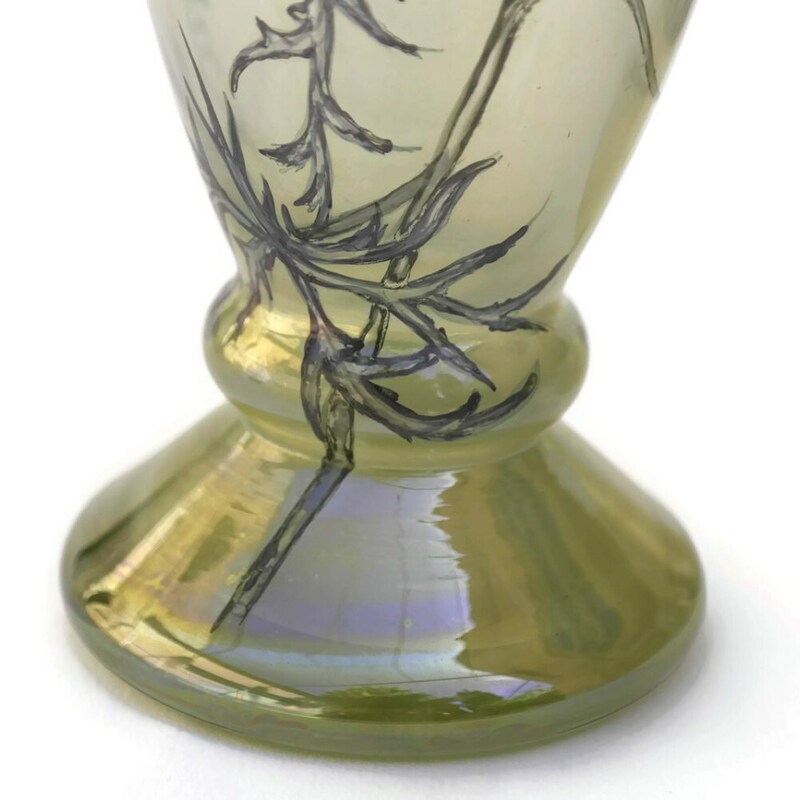 The glass is a light shade of olive green with an attractive luster. 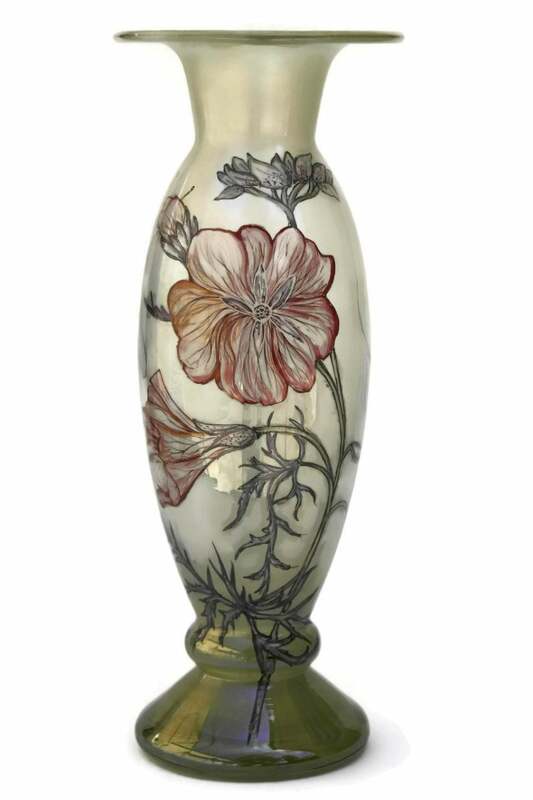 The base has been signed by the artist and appears to read: "Lisol 85, H.B." 11" High x 4" in Diameter (27 cm x 10 cm). 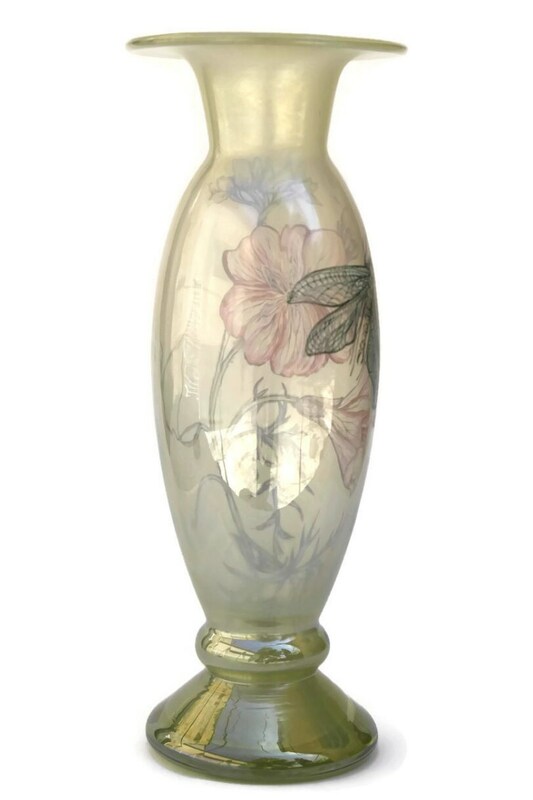 The vase is in very good condition with no chips or cracks.